I don’t know about you, but we can’t believe it’s nearly two years since we took over at R.L. Allan & Son from my (Ian’s) uncle Nicholas Gray. It has been a bit of a rollercoaster ride, beginning with the big move from Glasgow to London (including a massive spam email attack over the moving weekend) and continuing with lots of challenges along the way. 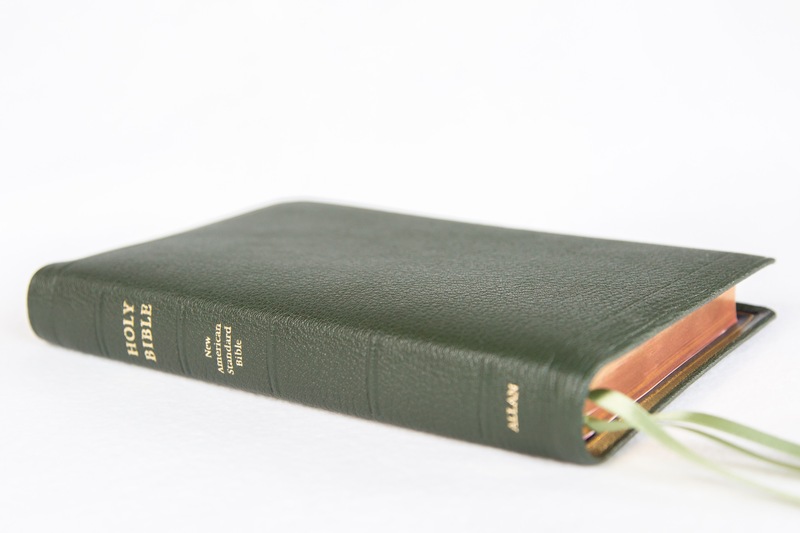 Overall, though, we have endeavoured to continue the Allan tradition of steady and considered progress towards our goal of publishing the finest Bibles available – and delivering them to our loyal customers, wherever they find themselves in the world. And we’ve enjoyed experimenting with one or two new ideas along the way. With the launch of the Allan KJV 63 Longprimer Sovereign Hampton Court Yellow Limited Edition (and a little discussion of its price point in one or two places on the web!) it seemed like a good time to consider some of the different ways in which we have been privileged to build on the heritage passed on to us. * Not long after we took over, the long-delayed arrival of finished copies of the ESV New Classic Readers in Marine Blue and the NLT Brunswick Green showed us the strength of the appetite our customers have for a slightly different take on Allan’s classic values of fine craftsmanship and the best quality leather-lined Bibles. * The first ‘Limited Edition’ we specced entirely ourselves was the KJV Longprimer 53 DG – a dark grey goatskin with more of a sheen than our trademark ‘highland’ style, with a rich purple lambskin liner – and, last by far from least, blue-under-silver page edges, something many people had been clamouring for! We were shocked by the level of response to this Bible, with the 50 copies available selling out in 6 hours after it went live for pre-order on a random Tuesday night in May. 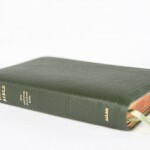 * One of the strategic decisions that we implemented with the 53 DG was a move away from individual numbering of the Limited Editions to instead stamping each Bible with a special ‘Allan Limited Edition’ embossing stamp on the inside back cover – a subtle but permanent mark of the Bible’s unique distinction. We are hopeful that this policy has contributed somewhat to a reduction in eBay ‘flipping’ of our limited editions. * Later in 2014 we had a similarly positive initial response to the ESV New Classic Readers Purple First Edition, but with a few more copies to play with this meant we were happily able to still have some copies available for people who might have missed the initial rush for whatever reason! * Behind the scenes, we were simultaneously working on the biggest project of our time at Allan’s so far: the creation of the Longprimer Sovereign edition, the first addition to our range of Oxford KJV formats for quite a number of years. Although superficially a simple exercise, we went back to basics to consider every aspect of this improved version of the Longprimer. Of course, the all-important full yapp with its double gilt line, the highland goatskin binding and true leather-lining, all handcrafted at our bindery just north of London, were givens. * But the core concept of the Longprimer Sovereign was to make it ‘more’ of everything that the Longprimer already delivered so effectively: a more opaque, writable paper to emphasise the bold, dark print image, with a one-inch fore-edge and bottom margin to enhance the graceful proportions of the typesetting and allow at least a little extra space for notetaking if desired; all-new, Charles Rennie Mackintosh-inspired Presentation Pages and Family Record; new, 5mm-spaced feint rule notepaper at the back with an ‘Allan navy’ rather than cyan line and on a heavier 50gsm writing paper; and reprinted Oxford maps with the margins reworked to tally with the main text print. All these improvements will now work their way across the wider Allan range as and when we are able. * In addition, we broke with tradition on the Navy Blue edition to offer a new variation in the form of the ‘Silver Line’ First Edition with blue-under-silver edges, silver embossing and silver ribbons – a colour combination that has proven so popular that we are continuing with it for the upcoming rebind, and which may well spread more widely across the range alongside our classic Navy Blue/red ribbons combination. * The cost of developing and producing the Longprimer Sovereign – it uses 15% more goatskin and leather liner than the ‘standard’ edition, for example, and the paper and print cost was doubled – had an impact on the retail price, but with the initial binding run now sold just six months after the initial launch, it has been an incredible success and we are delighted to have created a new range that has proved such a hit with our committed and knowledgeable (one might say demanding!) customer base. * At the same time, we have been working on a reprint of the ‘standard’ Longprimer text for which we have rescanned the whole Bible from a vintage 1950s copy of the original Longprimer Bible set in metal type – with a 1960s copy for backup – in order to dramatically improve and clarity and crispness of the type: of which more before too long! 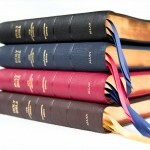 * Earlier this year we were also able to publish the NIV Proclamation Bible for the first time, with our four ‘standard’ colourways of Black, Brown, Navy and Red – again with a great reception, the selection of essays and book introductions helping provide committed Bible users with good tools to get deeper into the text. * Also this year we have been able to widen the colour options on the NASB Readers considerably, with Navy and Red options as well as Dark Green and most recently Petrol Blue first editions – and not forgetting the recent reappearance of the NASB Single Column Reference, including the much-loved Red variety which has been a bit of a rare breed these last few years! * In addition to all this, we have been working to train up a new UK bindery in the fine art of leather-lined Bible making, so as to enable us to offer a broader range of Bibles – and the firstfruits of that new partnership will also be ready for sale shortly in the form of our new binding of Crossway’s Classic Reference Bible in the standard size (rather than our larger, black-letter Readers edition, also shortly due back in stock from the usual London bindery). 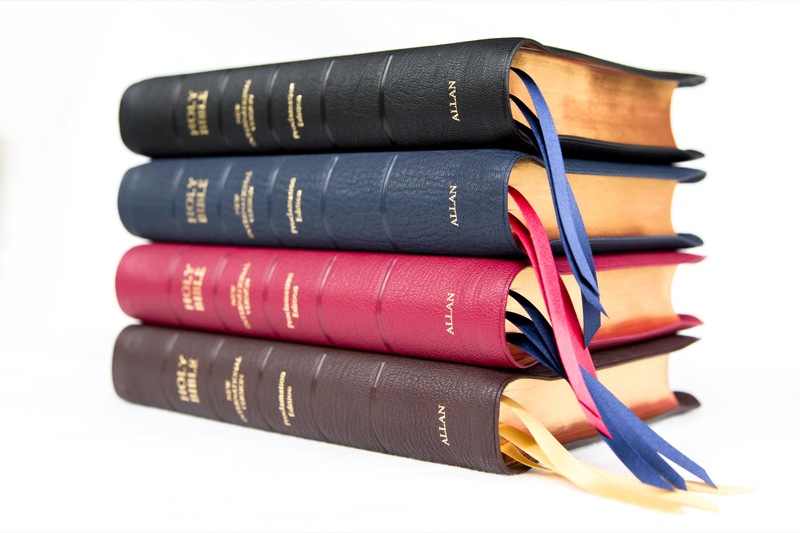 Many thanks for your support and good wishes over this transition period – we are looking forward to delivering even more great Bibles over the coming years!